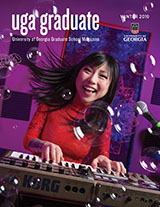 The Graduate School gratefully acknowledges all who have made a financial commitment to graduate education at the University of Georgia. Graduate studies at the University of Georgia began in the nineteenth century, well before the formal establishment of the Graduate School in 1910. The major expansion of faculty and facilities at the graduate level occurred after World War II and especially in the 1950s and 1960s. In the early 2000s the Graduate School developed interdisciplinary degree and certificate programs and now offers an increasing number of professional development opportunities to enrich the learning experience for graduate students. The Graduate School has also established a development office to build an endowment to support our university’s brightest, but often poorest, students and to continue the tradition of recruiting excellent graduate students and faculty. The Graduate School supports students in all graduate programs across the fifteen other colleges and schools at the university. The increase in international competition for intellectual resources has underscored the need for the United States to have a highly educated workforce. As it begins its second century, the Graduate School will continue to foster an intellectually challenging atmosphere in which graduate students become tomorrow’s leaders, innovators, educators, and visionaries. The Graduate School supports over 250 graduate students annually through assistantships and fellowships; assists graduate students financially in such additional areas as thesis and dissertation writing, leadership development, study abroad, and travel for academic presentations or data collection; provides professional development seminars; administers a teaching portfolio program; offers 11 certificate programs to add to a master’s or doctoral degree, including the Certificate in University Teaching. Please consider making a gift today to the Graduate School. Gifts can be designated to benefit the Graduate Education Advancement Board Fellowship Fund, the Graduate School Fund, or the Dean’s Award Fund. Learn about how your gift supports students. Graduate Education Advancement Board Fellowship Fund: The purpose of the fund is to recruit, support, and encourage exceptional graduate-level students who will study and conduct research in all fields, with preference given to doctoral students at the University of Georgia. 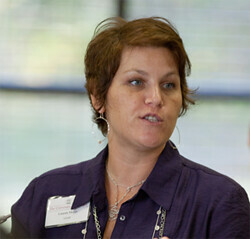 The fund will support recipients with either supplemental or full fellowships. Graduate School Fund: The purpose of the fund is to benefit graduate students, by providing support including but not limited to travel, meals, awards, entertainment, equipment and other expenses as deemed appropriate by the dean of the Graduate School.